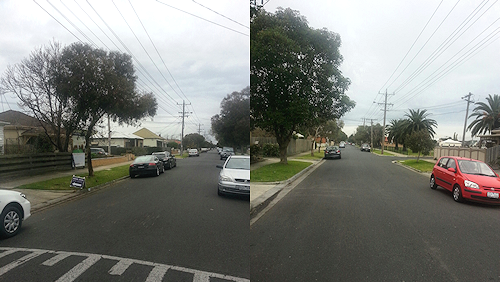 Buyer agent Cate Bakos was out and about in West Footscray over the weekend. Take a journey with one of the most sought-after advocates in Melbourne. On Saturday July 13th I bid on a house in Suffolk Street, West Footscray for a young couple who were also first home buyers. I wasn’t on my own in that buyer demographic – we all hovered around in the crisp cold and intermittent rain awaiting the auction bell. 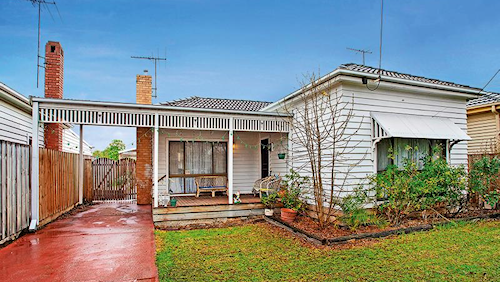 Presumably, my buyers chose this particular property for the same reasons all of the other bidders did – West Footscray offers first home buyers and upgraders a sound 3BR house on 350sqm land for under $550,000. Those who understand their values within the highly favoured 10km city radius know that this exciting little pocket represents great buying and a fabulous opportunity to add further value. Most homes in this price band in West Footscray are either original or have older style renovations, and savvy homebuyers are snapping them up. Street photo from Saturday July 13th. Number 47 Suffolk Street is no exception. Its 80s style kitchen, slightly awkward rear floor plan and tight backyard didn’t detract from the 30s era original home and all that it represents for a renovator. Buyers like mine saw the potential to lift carpets, polish hardwood floors, appreciate the cornices and ceiling detail with some careful paintwork, and of course, add value down the track with a clever renovation at the rear when budget permits. For now, the house will be a comfortable and well-located home for years to come. Suffolk Street is one of the many through-roads in the suburb, though even with cars lining either side of the street, the streetscape was quiet. The odd car interrupted the proceedings, and birds chirped as the auctioneer called for opening bids. Lovely parkland is just down the road, and surrounding reserves are a short distance away… perfect for dog-walking strolls and footy kicks with little children! These are just some of the attributes that place West Footscray firmly on the map for first home buyers and young families. Family-home appeal, combined with close city proximity and well-integrated arterials at a price tag eclipsed by houses 25km east of the CBD make West Footscray not only viable, but a prospective high-growth area in the short-term. Then there’s the fact that West Footscray is home to what could arguably be called Melbourne’s best Indian curry houses. Kid-friendly Aangan has featured in The Age Good Food Guide for its spicy dishes. Finally, with the recent rail upgrades and the rise of the cafe culture in Barkly Street, I think West Footscray is one to keep a close eye on. I know that recent sales and expected growth in median values in the coming months will signal what we are already seeing at the coalface… that it is a great area on the move upwards.